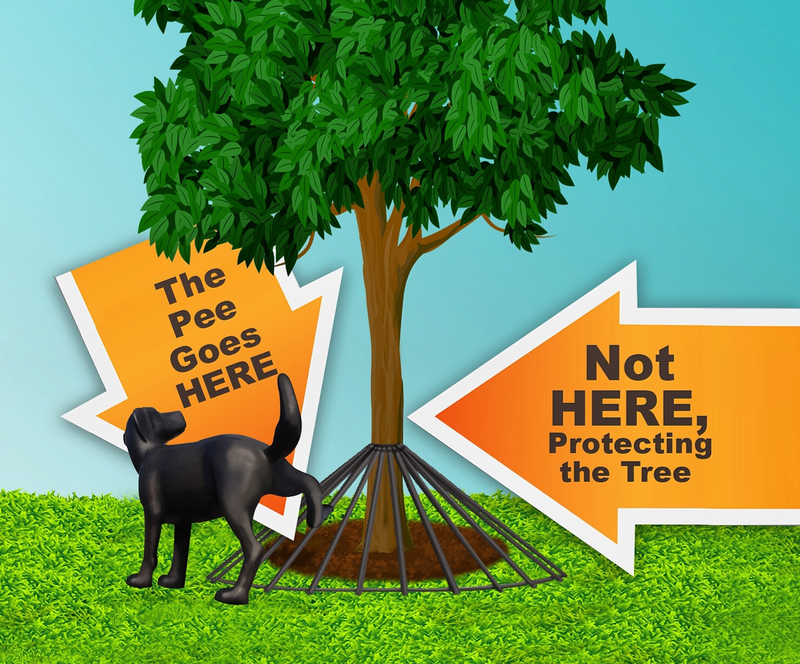 The Dawg Tree Pee Guard provides 360 degrees of protection for newly planted trees and established young trees and only takes minutes to install. 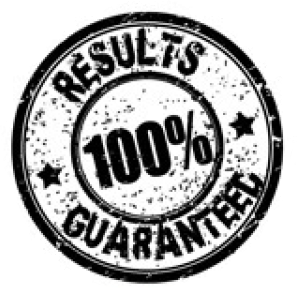 It is made of sturdy plastic rods and secures around the tree with a weatherproof bungee that allows for growth and expansion for years to come. The Dawg Tree Pee Guard forces the dog to plant their leg safely away from the base when marking their territory. 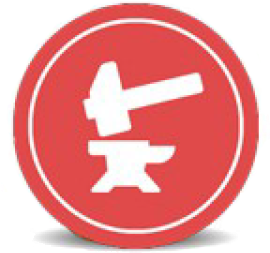 It is effective and simple to use. Jonathan Stewart is a husband and father, college professor, former Marine, and now budding entrepreneur. This past March Dawg Tree was a prominent exhibitor at the Super Pet Expo which was held at the Dulles Expo Center. We recently built a new kennel for our police canines. Our wonderful community made donations for new trees to be planted in the yard to provide shade for our canines. Our old kennel lost many newly planted trees because of canine urine. We installed the DawgTree's around every new tree planted. To be honest, I didn't think it would keep our dogs away from marking the tree trunk, but it really works. It's easy to install and looks nice. 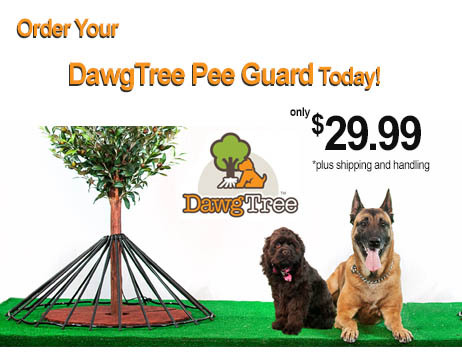 The durable bungee allow the Dawg Tree Pee Guard to grow with your tree. 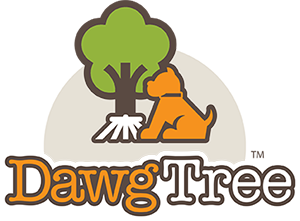 Built to last and backed by an American company, you can trust the DawgTree pee guard to protect your trees for years to come. Dogs can jump fences, plastic bags retain moisture and do more damage than good, only the Dawg Tree Pee Guard prevents dogs from planting their leg close enough to ever get a urine stream on the tree.